I started in graphics at Manchester University before switching to industrial design. There was a competition to design a radio, which I won. I used to live with a bunch of DJs so I took the idea of a wheel that spun through the stations from them. The next thing I was in Milan, needling people and designing products for studios such as Marco Zanuso, Prada and Alessi. Simple, honest, rational. I hate the phrase ‘form and function’ but it’s true. There should always be a reason for something being there. When I’m coming up with a new design, I start with a list of functions that the product must have before moving on to its finish and colour. That is what gives an object its design edge and transforms it into the thing of the moment. The shape doesn’t. How did Another Brand come about? After all these years working with lots of designers and big brands, I wanted to work directly with the manufacturer. We play to our strengths. They hold the stock and take care of distribution, while I come up with the designs. By partnering up with Qualita, we have created a new business for them and an opportunity for us. The idea is to work with a variety of manufacturers to create a cohesive collection of products. 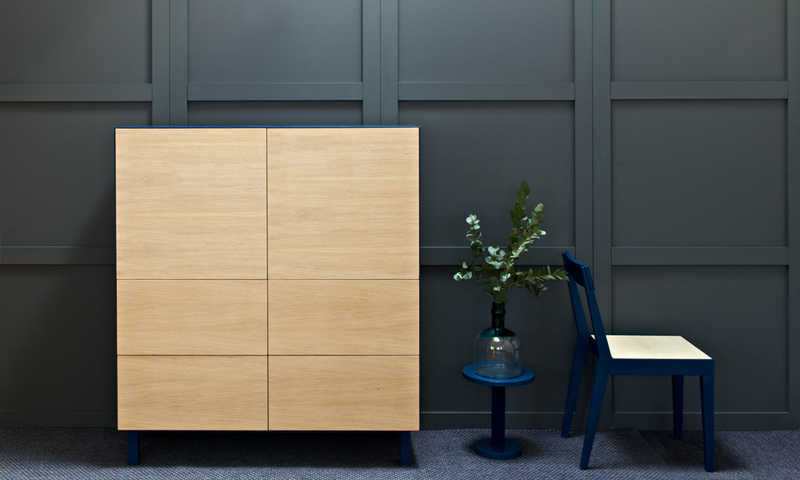 What was the idea behind the new Tavolini designs, launched at London Design Festival 2015? The premise was to have something that you can pick up and walk away with in a lovely box – an impulse buy; the prices also reflect this. All the tables are different. 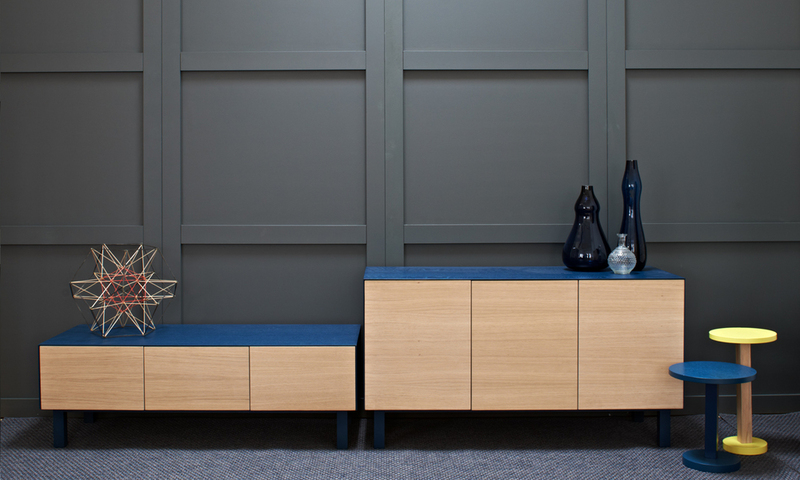 There are oak, glass, metal and fabric tops… We’re a one-stop-shop for small tables. How are the products made? When it comes to designing for Another Brand, we consider the manufacturer’s capabilities. It all works backwards from what they can or cannot do. There’s going to be more Tavolini and we’re moving into upholstery and lighting. Theo Williams Studio has also been commissioned to co-design a capsule of accessories for McLaren Honda Formula 1 team in 2016 until further notice. I quite like a grid. I’m drawn to things that are graphic-led and well thought out. I love proportions, posters and packaging books – things like that. A lot of my influences are from Italy. There was a certain formula to working there but it was liberating and instinctive. Also, back in the day there were no computers, so everything was drawn by hand. You spent 15 years working in Milan and two years in Amsterdam before moving back to London. How do the cities compare? Milan was the exception to the rule. Everything was possible back then. The creative energy was enormous. For my first job as design director at NAVA Design, I didn’t speak any Italian and they just said: ‘Invent, think, create and see what we can do.’ They trusted designers to make things better. I remember aesthetics, taste and style being relative. It wasn’t judged on seasons or trends just good ideas and solutions. It was the attention to detail and perfection the Italians taught me; they were simply perfectionists at design, printing and production. I remember them fondly. They were my second family. In Amsterdam I began working with a corporate structure for a couple of years, which was creatively driven but without the instinctive nature of Italy. Nobody really owned anything. It was inspiring for the first year but I missed the spontaneity and instinctive nature of the Italians. London for me seems to have all of the above and more. After 17 years away from the UK I can feel an undercurrent entrepreneurial spirit, which I think defines British creativity, with a bit of wit thrown in. There’s a natural impulse where people are just getting on with it and this creates an organic point of view and personality. There is a tradition in the UK where designers are interested in the processes, but we have moved away from traditional manufacturing towards innovative creative solutions. Reacting to the market is one thing but the depth and choice of the colleges and mixed nationalities studying here creates this entrepreneurial spirit; if only they had more opportunity to make and not just design. A few more workshops and manufacturers would be useful. The ideas are plentiful. It’s the making of them that’s hard. Achille Castiglioni, James Irvine (who was a good friend of mine), Jasper Morrison, Marco Zanuso and companies such as Alessi. When you look at that Philippe Starck lemon squeezer, it’s ridiculous. It’s everything they don’t teach you at school. I’ve got to go to Shanghai but I’m not sure that’s on my wish list as such. I’m taking my son to New York in April, which is exciting. I promised him we would do the Shard, the Eiffel Tower and next it’s the Empire State Building. A storyteller. I have piles of short stories that I have written, all based on my childhood. All of the stories are true. I’ve always wanted to build a brand from the bottom up, which is what I’m doing now. I like Instagram the best. I don’t do selfies on the beach but, instead, use it for things I see and love.